So… this scarf. Let’s just get straight to it. It’s amazing, right? 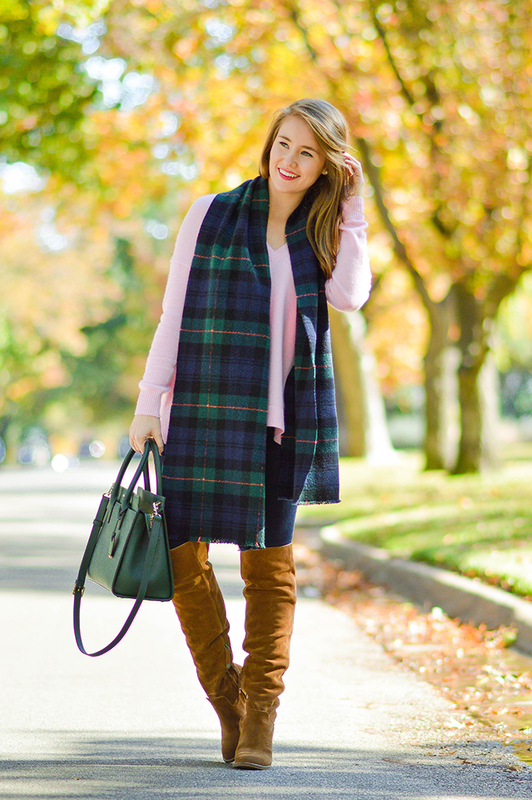 I tried to think of a million cutesy ways to begin this blog post, but this DANG scarf is a bit of a show-stealer. And honestly, I’m really ok with it. 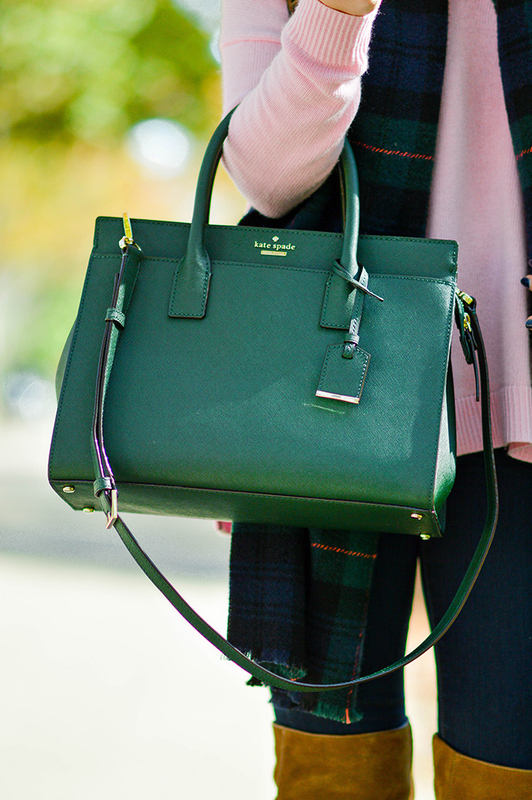 My absolute favorite shade for fall and winter is hunter green. Paired with navy? Even better. But throw in pink?! PINK?! In the most delicate, classic and lovely way? And yep… you’ve got me. Just like that! So picture me with my mouth gaping open in the middle of J.Crew after coming across the thing. Naturally, the next best step was to turn around and buy the pink sweater staring me down (RUDE) in order to match the pink in the scarf. Not my fault, ok? Not. My. Fault. Happy Friday, friends! What a great week it’s been, and I’m looking forward to a weekend of laying low, seeing friends and eating too much Tex Mex. Thanks for stopping by, now go have the best weekend ever! 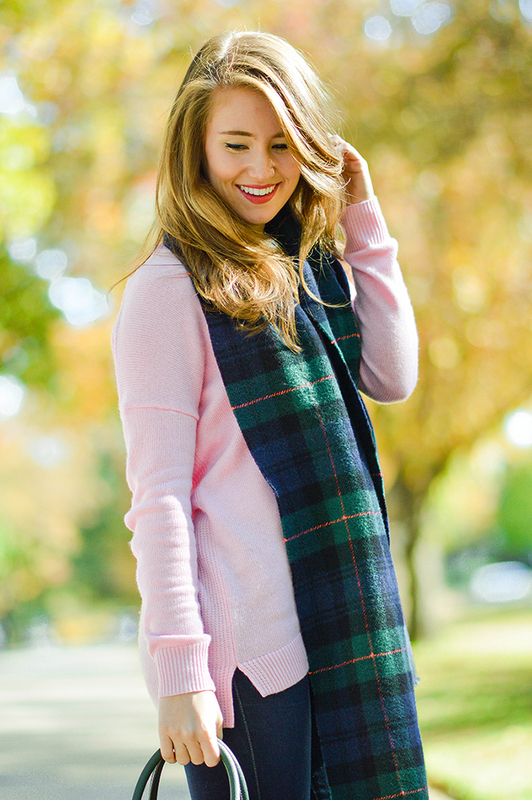 Love that pink sweater! It looks so cozy. What a perfect color palette! 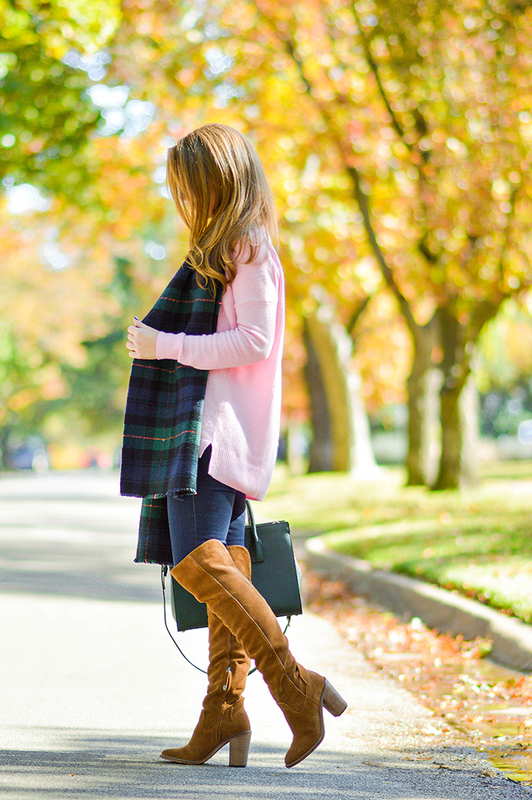 I love pink at this time of the year but your scarf and bad make it even more seasonal. So pretty. Thank you for sharing and have a wonderful weekend. I have that scarf as well!! Such a powerful color combo! That pink…is perfect. Finding a pink that doesn’t exasperate a rosey complexion is SUCH a challenge. Ah this outfit is too cute! 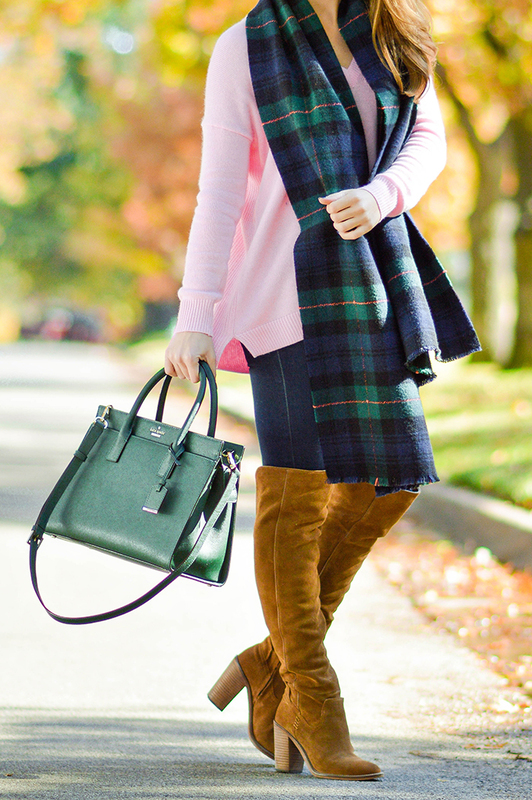 I really love that scarf and the Kate spade bag!! So cute! 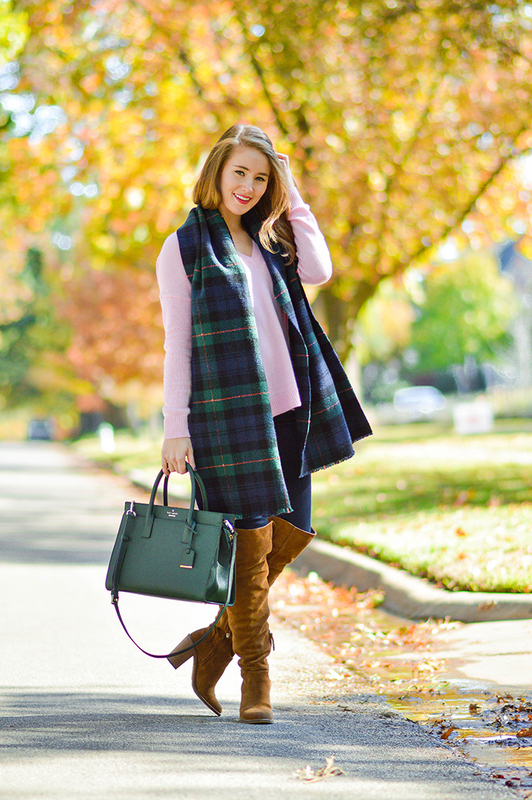 I’ve been looking for a good scarf to wear this season, and that one looks perfect! I love your blog. I will be visiting Dallas the week after Christmas for the Cotton Bowl and I was wondering if you have any recommendations. I would love to know some great spots to eat, shop, and have fun. 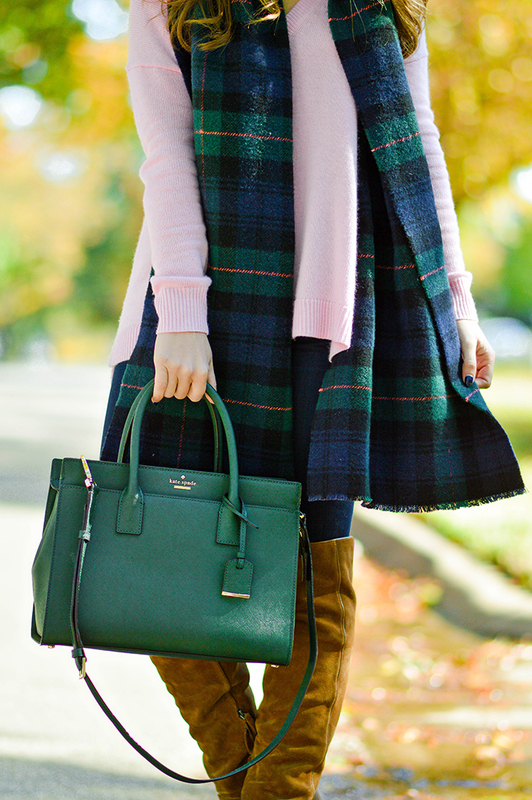 Love the green kate spade bag and the boots!! !